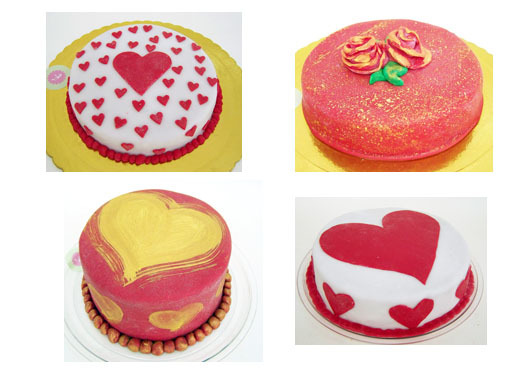 Despite all the birthday orders over the weekend, I made these 4 Valentine’s cakes. All are filled with chocolate devil’s food and a whipped milk chocolate ganache. It’s noon and three are already gone. The cake at the bottom left corner is left. A tall red cake with edible golden hearts painted on it. First come first served, if you’re in the area come get it! 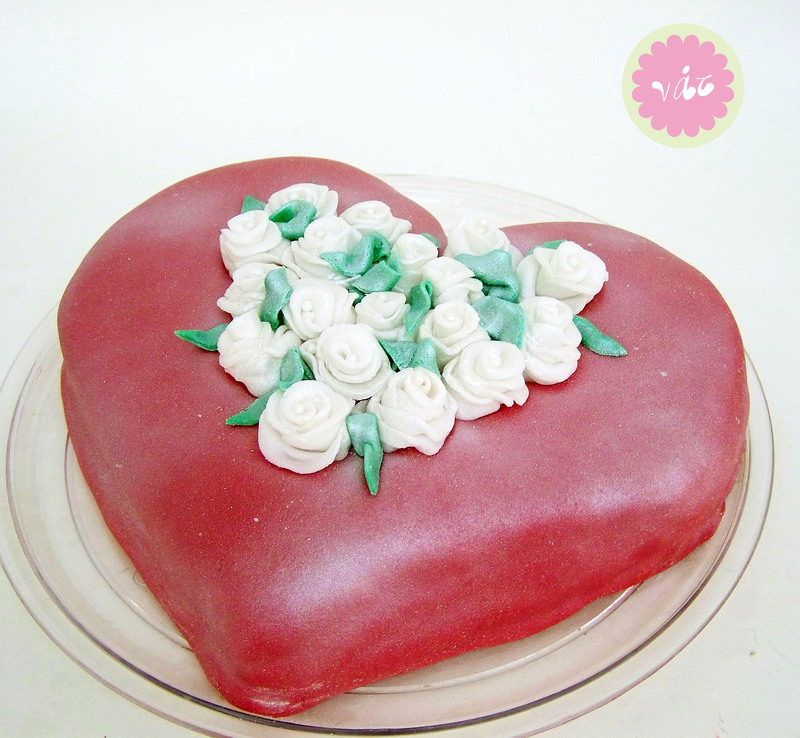 And finally this heart shaped cake with white pearl roses was an order. Hola!!! estan bellisimas sus creaciones, yo tambien elabore algo para el dia del amor y la amistad!! espero poder enviarselos y recibir sus comentarios!!! no se como enviarles un archivo, me encantaria que las pudieran ver!! !